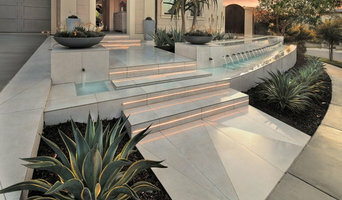 We are a full service landscape design firm located in Southern California and have been in business for over 18 years. Our projects consist of residential re-do's, commercial and public works. Whatever the project, our goal is always the same: 'fully utilize and enjoy outdoor spaces.' Join us as we take you through the design process and explore the pieces that make a space come alive. We believe that good space planning, aesthetic and durable materials, along with quality craftsmanship are the ingredients for a vibrant and livable outdoor space. Visionary Design Services works with you to plan and design your landscape or interior project. Our goal is to help you visualize your project before it is constructed. Best of Houzz winner! We are a design-build firm based in Orange County, CA. We design one-of-a-kind exteriors and interiors with the elements in mind. From seamless vanishing-edge water features to ultra-modern outdoor kitchens, we have over a decade of experience in creating award-winning landscape masterpieces. For interiors, we specialize in designing fine-art inspired spaces tailored to your unique style. Our team of world class designers curate the materials and finishes that will captivate you in your own home. Our furniture-specialist team hand-selects and blends timeless pieces with modern classics into your residence. Our experts curate exceptional artwork, sculptures, and furniture internationally to not only furnish a space, but to create the perfect ambiance for their client's lifestyle. Check Out Our Design Questionnaire! Nick Martin Landscape Architect Inc.
An award-winning outdoor living specialist in custom residential Garden & Landscape design, Nick Martin can turn an ordinary landscape into something truly wonderful. Professional Landscape Architecture services throughout Southern California and beyond. At Studio H we strive to provide aesthetically pleasing and environmentally sound creative projects reflecting each client’s personal preferences, while utilizing unique design ideas, ecologically sensitive materials, and creative solutions to design challenges to deliver the highest quality without exceeding budget goals. Studio H Landscape Architecture brings its passion for creative design solutions, innovative design details and quality execution to make sure each of its projects exceeds the Client’s expectations. Our work is recognized for marrying its creative aesthetic design with the latest sustainable products and practices all while staying on budget and ensuring the Client receives the best possible product for their dollar. We offer professional design services from concept to construction. The principals at Studio H have a combined experience of over 55 years in both residential and commercial design and are registered in the states of California and Arizona while also holding a C27 California Landscape Contractors license. It’s been said, “home is where the heart is”. While that statement may be an old cliché, the sentiment behind it is true. For many, their home is a sanctuary away from the hustle and confusion of everyday life. It’s a place where their family and friends can come together to relax, laugh, love, and enjoy creating their most cherished memories. At Landmark we know the importance of “home” and have been creating elegant outdoor living spaces throughout the Southern California area since 1981. For over 30 years, we’ve created outdoor environments that are true extensions of our clients interior lives. Let Landmark show you the freedom of having a truly personalized outdoor living space. We create sustainable, drought-tolerant landscape design, exterior design and outdoor spaces. Ketti Kupper Conscious Life Design / Conscious Living Landscapes is concerned with enticing good health, peace and prosperity through landscape connectivity. We do this with the use of native habitat design, microclimate-appropriate low water plants, exciting architectural structures and sustainable methods and materials. We excel at concept-driven experiential garden design. Thought-provoking art, and interactive design components are often included in our projects because adding art can help evoke deeper states of connection within a landscape space. Our clients are generally characterized as people that take action toward making the world a better place, and those that share sophisticated design sensibilities. Ketti, as past professor of art, particularly enjoys working collaboratively when clients have time for it and the spark of enthusiasm that comes with client design contributions. We know how to make small spaces seem much larger, how to tame slopes, how to achieve privacy in dense living communities, how to reduce water run-off, how to design beautiful structures and how to create therapeutic multi-use spaces. We love designing playscapes for all ages and employing cutting-edge green technologies. Our projects range from intimate meditation gardens to large public art landscapes. The scope of our detailed design is expansive and includes color palette development, unique plant palette combinations, exotic plant sourcing, tile design layouts, furniture design and much more. We specialize in plant and stone sourcing, on-site project art direction, and design consulting. Ketti is skilled at art directing heavy equipment operators in sculpting the terrain and siting boulders and plants. Our projects are typically installed with a team of our licensed contractor affiliates. Our capabilities and interests include landscape and exterior design, and public and private art for resorts, hotels, tourism, wellness facilities or other inventive opportunities domestically or internationally. Susanna's designs have been featured in San Diego Home and Garden Magazine, Modern Luxury Interiors California, as well as other publications. She was awarded the Best of Houzz over multiple years, in Customer Satisfaction. She is also the winner of 8 awards for her design for the SD Horticulture Society display garden at the SD County Fair Floral and Garden Show 2012. Susanna Pagan Landscape Design, (SP Gardens), is a full service landscape design company established in April of 2005. Susanna Pagan combines her passion for art, architecture, and landscape, bringing her flair for beautiful color, creative solutions, and love of gardening to every landscape she touches! She also served on the SD Horticultural Society's Board, as the Public Relations Coordinator, from 2012-2016. A boutique full service design firm specializing in professional and personal outdoor spaces. Each unique project reflects the warmth, personality and lifestyle of each client while combining color, symmetry, texture and style into sustainable, low maintenance garden designs. As licensed landscape architects, we design stylish outdoor spaces that emphasize beauty, comfort and ecological sustainability. We delight in collaborating with our residential clients to create welcoming gardens that reflect their home's architecture and are responsive to the site and our climate. The studio provides site analysis, master planning, conceptual design, 3-D modeling, construction documentation, and construction observation. Landscape Design was originally founded by Dave Clark in 2003. Dave's background in sales and engineering and complex knowledge of construction helped him establish himself in the industry. In 2014, Dave brought his daughter Shayna on board and the two worked together to provide exceptional customer service and detailed designs to their clients. Shayna is a graduate of California State University, Chico with a BFA in Interior Design and a minor is Studio Art. After spending a couple of years focusing solely on interior design, she decided to expand to landscaping and apply her skills to creating beautiful outdoor environments for her clients. In 2017, Shayna founded Visionary Design Services and began innovating new ways of communicating designs to clients, HOA boards, and contractors alike. What We Do: Visionary Design Services works with you to plan and design your landscape or interior project. With our design services, we are able to spend more time planning out your project while working within your budget. Our goal is to help you visualize your project before it is constructed. The Design Packages We Offer: 1. 2D-Design/HOA package (Cost reduction consultation, HOA/Design drawings for submittal, itemized quote for referred construction company) 2. 3D-Design/HOA package (Cost reduction consultation, HOA/Design drawings for submittal, 3D model walk-through, Virtual Reality experience, design perspectives of proposed project, itemized quote for referred construction company) CALL TODAY TO GET YOUR DESIGN STARTED! Landcraft Studio is an environmentally conscious landscape design/build firm based in Orange County. As experts in custom residential design, we believe in creating well-designed environments that balance beauty and sustainable living. With literally hundreds of projects in our portfolio and over 15 years of experience, we create fresh variations on classic design concepts. Our business is equipped to foster a seamless client, architect, and builder relationship which is imperative to the success of each project. In addition, we have the expertise and experience to manage projects that fit our clients budget and personal style. We combine our talent and experience with your ideas in order to create outdoor surroundings that will transform the way you live. Living Gardens Landscape Design is a boutique Garden Design firm known for creating 'Outdoor Rooms'. From Conceptual Plans to Construction Documents and Homeowner Association submittals, they will walk you through the process. 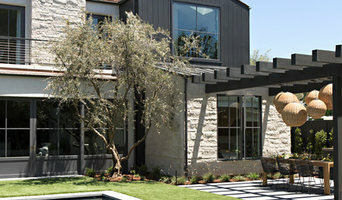 Mark Scott Associates has been creating exquisite and functional landscape architectural solutions for over 25 years. We are committed to creating the perfect outdoor environment for you and your family for generations to come. You will have our utmost attention... down to the last detail. We consider every project to be a unique and specific challenge to our creative capabilities. Our ultimate goal is to create beyond your greatest expectations. Mr. Scott has been a licensed landscape architect of over 25 years. With his wide-ranging experience and determination to stay on the cutting edge of the trends as well as his extensive knowledge of designing luxury estates, he has been honored with numerous awards from ASLA, CLCA, and APSP. In addition, Mr. Scott and his work have been published in many of the top design magazines in the United States. Welcome to the Morton Design Group! We are a full service exterior design firm specializing in three dimensional landscape design for both the homeowner and business professional alike. Our passions and goals are achieved by working closely with our clients to navigate the challenges of balancing a proper design aesthetic with construction feasibility and financial reality. For over twenty years we have been perfecting our craft, following trends and trades through variable market conditions. Whether you are looking to design an intimate courtyard space or multiple acres alike, the Morton Design Group can assist you in cultivating your vision. We combine over twenty years of experience with today's "state of the art" visual tools to offer you a complete design solution. 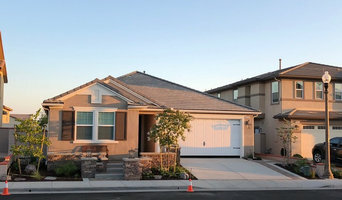 Professional landscaping anchors a house to the site, connects it with the environment and creates a welcoming entrance to a home. A Mead Valley landscape architect or designer works with living plants as well as building materials to design for future growth and maintenance as well as the present visual appeal. Landscape architecture is very regional, so look for a landscape designer in Mead Valley, CA that’s familiar with the local climate and plant types that do well there. Start here to learn more about the landscaping services in Mead Valley, CA that will help create your dream garden. The work of this outdoor professional includes most everything surrounding a home's exterior. 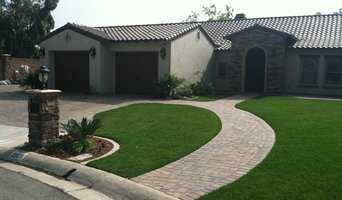 A landscaping architect can even work with the home architect to choose the right spot for your Mead Valley, CA house. From there the Mead Valley landscaper will develop preliminary concepts for your front or backyard design based on individual needs including the climate and activities that will take place, as well as layouts and planting plans. Landscape architects will also design any structures or outbuildings that will be added to the space. Any grading changes that will be added to the yard are also the responsibility of the architect. This includes any drainage modifications. An engineer can also be responsible for these tasks, but licensed California landscapers are fully capable. Like building architects, they will produce preliminary concept drawings as well as detailed construction documents and planting plans. Three-dimensional renderings and illustrative plans are all supplementary. A Mead Valley landscaping designer generally will have ecological, aesthetic and technical training, which helps them maximize the potential of your outdoor space. Keeping in mind both style and functionality, garden designers analyze your architecture and yard to produce a plan that may or may not include location and materials for walkways, patios, water features, fences, garden aspects and more. In addition, a landscaper in Mead Valley, CA will carefully assess your geographic region to choose plants, trees and flowers that will flourish naturally, as well as address concerns such as drainage, screening and soil conditions. Certain landscape designers only help with the planning portion, while some may deliver the plans and then oversee a hired landscaping contractor. Others — typically following a design-build approach — take care of both the design and all aspects of the landscape architecture and construction. Before you hire a California professional landscaper, consider the scope and emphasis of your outdoor project. Landscape architects, who typically hold advanced degrees in their field, are trained to develop comprehensive structural plans that include plants, hardscaping, water use, drainage and more. Landscape designers typically specialize in the aesthetic and horticultural, rather than structural, side of yard and garden planning. They might or might not have advanced training. Even within their fields, a garden designer may specialize in hardscape- or vegetation-focused designs. In some cases you might need to hire additional help to get the outdoor space you want. Here are some related professionals and vendors to complement the work of landscape architects & landscape designers: Landscape Contractors, Garden & Landscape Supplies, Tree Services, Gardeners, Lawn Care & Sprinklers, Decks, Patios & Outdoor Enclosures. Find a Mead Valley landscape architect on Houzz. Narrow your search in the Professionals section of the website to Mead Valley, CA landscape architects and designers. You can also look through Mead Valley, CA photos to find a space you like, then contact the professional who posted the photo.